Would you like to streamline IT service and support without increasing your head count? Would you like the ability to quickly and correctly measure key IT service and support metrics? With RJR Service Level Management strategy you’ll have a clear understanding of the expected level of delivered services and their associated costs and you’ll streamline your IT service and support. We first determine the service that best fits your needs. Through our Service Level Management strategy, we can offer you desktop support customized to your needs. Your IT department determines the services offered. Whether it’s eight to five support, or critical one hour support, you’ll receive support only when you need it as defined by our agreement with you. You’ll reduce service and support costs, you’ll improve the quality of your IT services, and you’ll increase customer satisfaction. When RJR consultants install your ITSM product, they can assist you to manage and maintain the quality of your IT services. They can review the level of performance achieved by the IT Service Desk through a continuous cycle of agreeing, monitoring and reporting upon IT service level performance. With Service Level Management agreements you’ll deliver high levels of IT support service with the same growth in head count. Service Level Agreements (SLAs) – Agreements between the customer and the Service Desk on the level of service provision delivered to the customer. Operational Level Agreements (OLAs) – Agreements made between internal IT departments of an organization; for example, Network management and IT Operations. 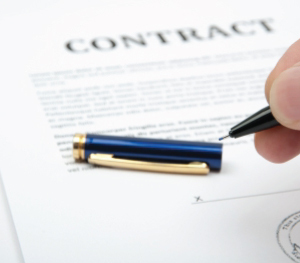 Underpinning Contracts (UCs) – Contracts between the Service Desk and an external supplier.